K- 5 educators can connect learning with what is going on inside and out. Weather can be used in science and in english language arts or as a bridge between the two. Explore the phenomenon of weather with these 5 multimedia resources from PBS LearningMedia. Lots to work with this resource. Students use daily observations, videos, and activities to learn about meteorology and the changing nature of weather. Students also identify weather events that are commonly reported in the news and discuss how weather affects lives. 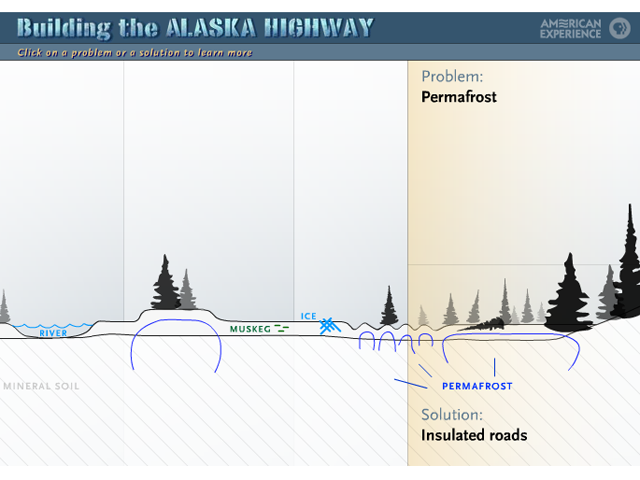 In this interactive activity from the American Experience, students learn about the unexpected geology and weather-related challenges faced by Army road crews as they built over frozen earth and swampland in the midst of changing temperatures. Lots of great information about the challenges that weather can bring. This video shows a 1st-grade teacher using the Internet to gather data for a lesson about weather. Observe how the teacher fosters critical thinking and cooperative learning skills. This can be used to begin a new lesson or as a professional development piece. This video clip can be used to introduce students to a meteorologist, Howie Bluestein who is excited by all sorts of weather phenomena, particularly tornados, hurricanes, and other severe storms. This professor of meteorology, specializes in the observation and physical understanding of weather phenomena. Howie is also considered an expert “stormchaser,” and has actually flown directly into the eyes of six different hurricanes. A PBS LearningMedia favorite, use this animated poem from Between the Lions as a resource for bolstering vocabulary, understanding informational texts and for building on other foundational skills. At 18 seconds this rhyming poem can be a great jumping off point for many lessons.